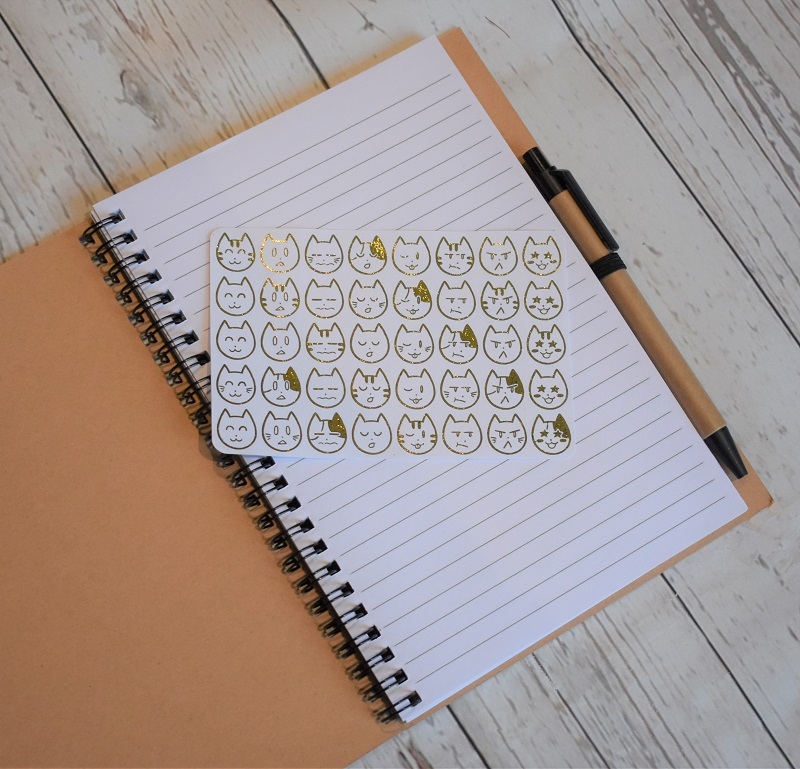 Small sheet of 40 gold foil kitty stickers. Use in planners or crafting projects. Made by PochikArts on Etsy.